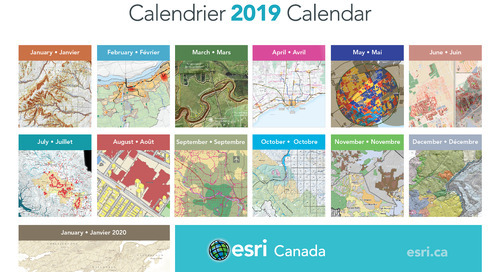 Get a snapshot of upcoming events, including GIS Day, fall Esri Canada User Conferences, webinars on enterprise asset management and open data, Esri certification courses and much more. GIS Day 2016 will take place on Wednesday, November 16, during Geography Awareness Week. This event plays an important role in creating geographic awareness throughout the world. Help make people aware of the substantial contributions that GIS makes in their community every day. Join thousands of GIS users who open their doors to schools, businesses and the public to showcase real-world applications of this innovative technology. Every organization can benefit from an enterprise asset management (EAM) solution to enable the effective guardianship of their infrastructure. 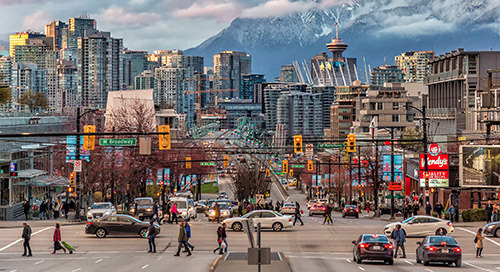 Esri Canada will present solutions that explore a geo-centric EAM approach by leveraging information that organizations already possess. 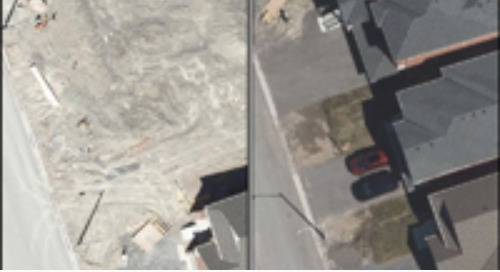 You will also hear from the City of Kitchener about how they have successfully implemented this framework by leveraging the City's investment in Esri technology, applications and data. This presentation will provide an overview of the framework that addresses asset life cycle, asset risk and integrated decision support, which enable intelligent, data-driven decisions. 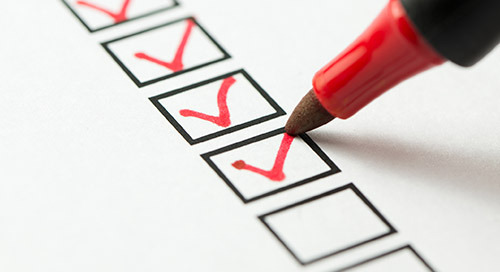 Linear referencing (LRS) is a highly effective way to manage non-discrete transportation assets such as roads, guardrails and sidewalks, as well as events and attributes. 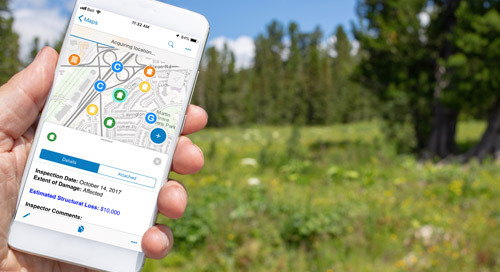 When you combine this industry standard with spatial referencing tools in ArcGIS, you will have a highly efficient and easy-to-use platform to share road and highway network information within your department and community. This webinar will explore the functionality of the Esri Roads & Highways solution in a linear and spatial context to demonstrate how different users can utilize road network information the way they want while allowing the department to maintain a single authoritative road network. 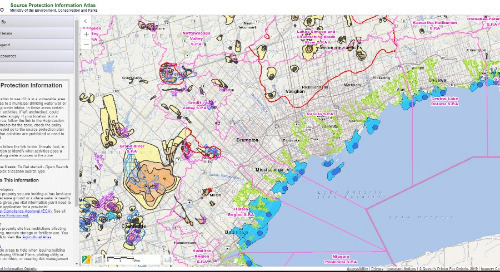 Creating effective and engaging web apps is becoming an increasingly popular way of presenting your GIS data to others. Although end-users only see what is presented on the web, there is work to be done behind the scenes to prepare the underlying data. 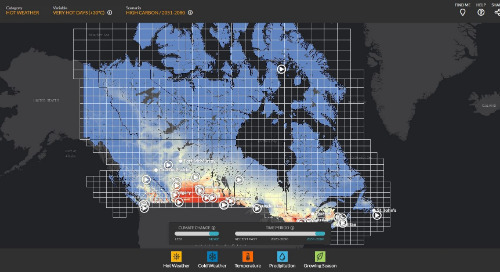 In this webinar, Esri Canada will introduce you to some of our recent, popular web apps. 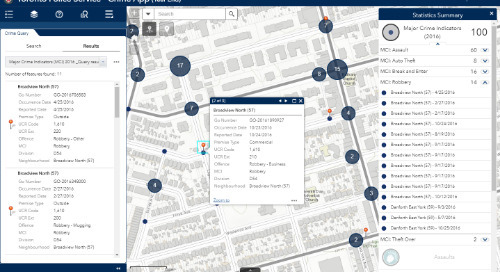 Using these web apps as an example, experts will provide insight on what you should consider when configuring your data before creating the web app on ArcGIS Online. Once the data considerations are established, the webinar will conclude by demonstrating how to configure some out-of-the-box web app templates. Municipalities, regions and provinces are key contributors to the success of Canada’s Action Plan on Open Government. 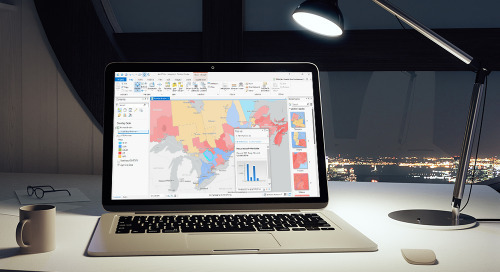 In this webinar, Esri Canada will review how you can use ArcGIS Open Data to set up public-facing websites where people can easily find and download your open data in a variety of open formats. 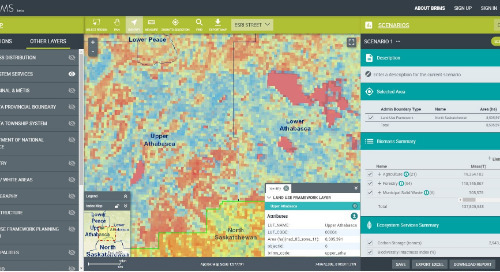 Moving on to ArcGIS Open Data (2.0), you will also learn how to elevate your open initiatives by extending the value of data (beyond the simple download), promoting re-use and re-distribution and enabling universal participation. 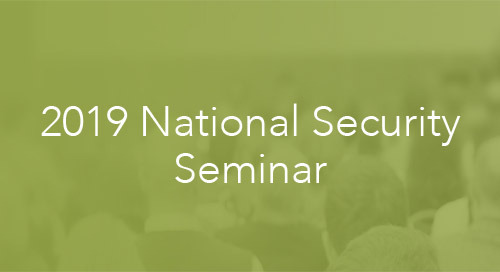 This session will show how you can enhance accessibility and transparency by enabling greater information sharing, public dialogue and collaboration. 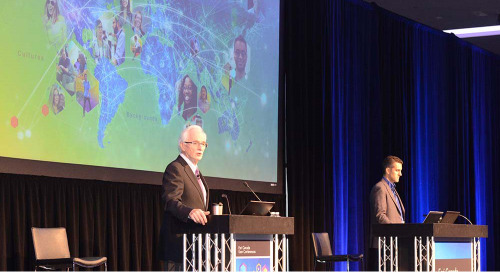 Our annual User Conferences (UCs) continue to be the best opportunity to discover exciting new developments in Esri’s GIS solutions and to network with your peers and industry experts. 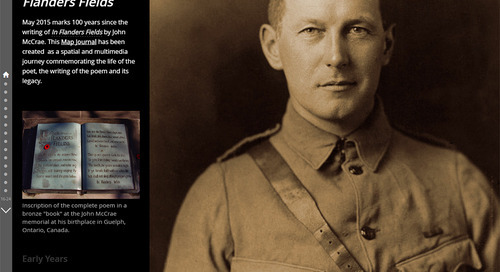 Find out more about these opportunities in the Esri Canada UC Story Map and download our UC app. This course is designed to teach GIS office staff and field crews how to prepare and deploy apps to support field data collection and informed decision making. Working with ArcGIS Desktop, ArcGIS Online and different mobile applications, you will learn how to prepare data and services, configure these apps and integrate them into field-based workflows to be used for data collection in the field. In this course, you’ll review and apply your ArcGIS skills in the areas of GIS data management, editing, visualization and analysis. 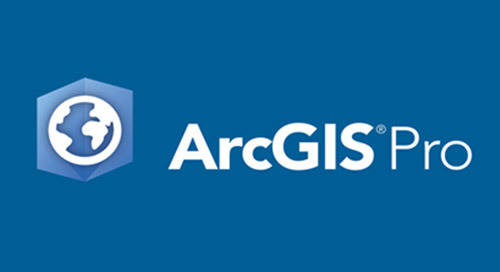 Hands-on practice with ArcGIS Desktop software is emphasized. You are not required to take this course to earn the certification, and completing this course does not guarantee you will pass the exam. This course explores the techniques and functionalities available to optimize the use of LiDAR data with ArcGIS 10.x Desktop. You will learn how to integrate and manage LiDAR point cloud data with LAS, TIN and mosaic datasets, as well as how to visualize and perform analysis in 2D/3D with the tools available with the ArcGIS for Desktop 3D Analyst extension. By developing LiDAR data management strategies with ArcGIS, you will be able to help support the decision-making processes in your organization.